View of “Scott Benzel,” 2011. 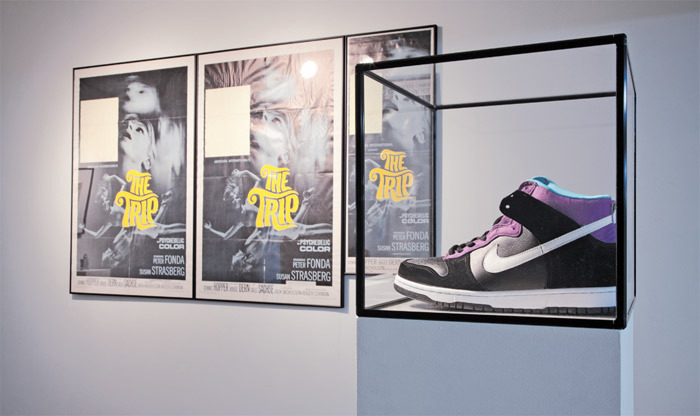 Foreground: Counterfeit Nike “Heaven’s Gate” SB Dunks, 2011. Background: Original posters for The Trip (1967) with original stickers, 2011. 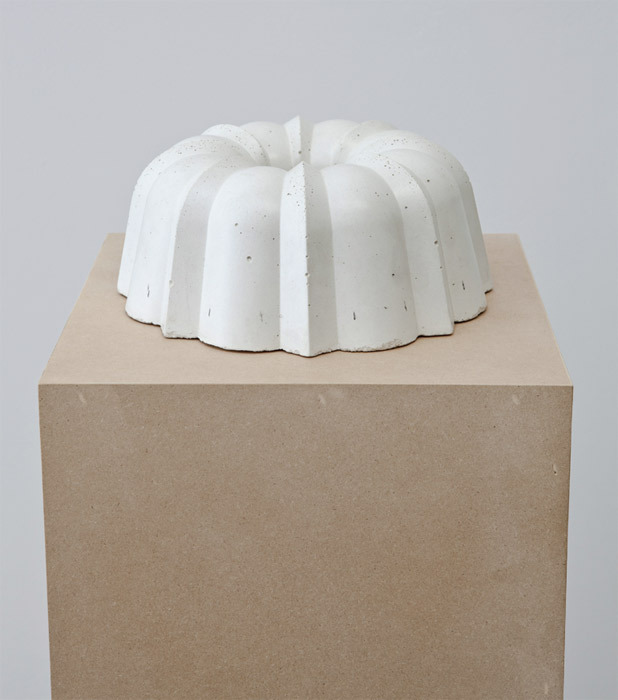 Piero Golia, Untitled #1, 2010–11, concrete, 3 1/2 x 9 1/2 x 9 1/2". 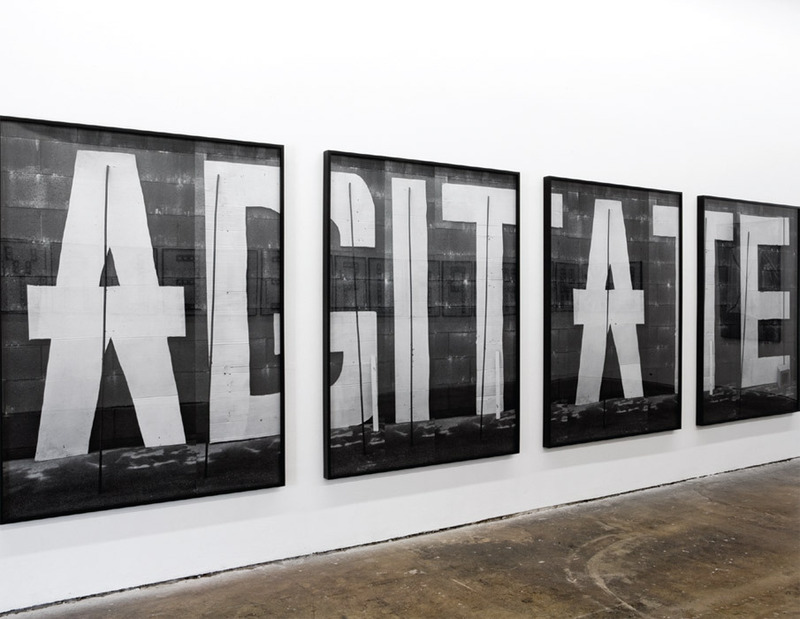 Shannon Ebner, Agitate, 2010, four black-and-white photographs, each 63 x 48". 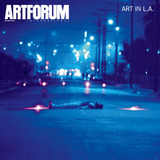 LAXART.